The First of the Epistles of Clement which is commonly dated to the first century and claims to be written by the Roman Church (the chair of St. Peter and the center of the unity of the Church, according to Catholic doctrine) which was established by the Apostles presents a belief in apostolic succession as do also the Epistles of Ignatius of Antioch, who was a personal disciple of the Apostles John and Paul. Also worth noting is the fact that others beside the twelve Apostles and Saint Paul are called “Apostles” in the New Testament. Also noteworthy is the fact that the Apostle Paul, though given spiritual authority directly by Christ, did not embark on his apostleship without conferring with those who were apostles before him as he notes in his Epistle to the Galatians. By contrast, some Protestant charismatic and restorationist movements include “apostles” among the offices that should be evident into modern times in “a true church”, though they never trace an historical line of succession or attempt to confer, like Paul, with those who were “apostles” before them. 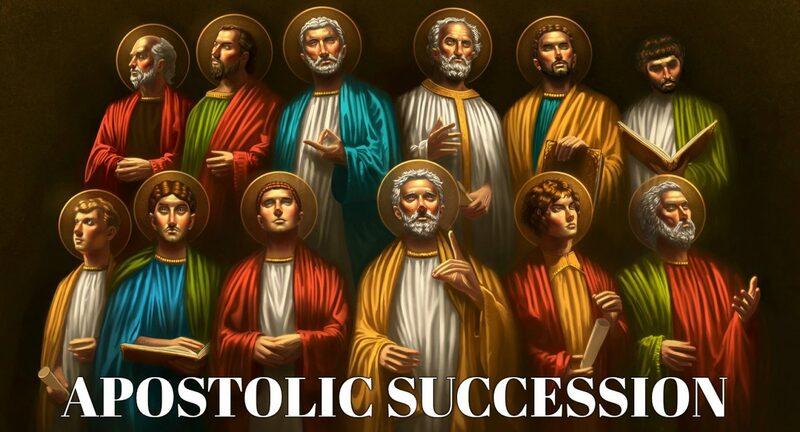 It is frequently the case that the founders or senior leaders of a restorationist church grouping will be referred to as the apostles, and they may have been ordained by self-ordination, or merely appointed by a congregation. “Church planting“, according to the Restorationist Movement, is seen as a key role of these present-day apostles, but the concept of apostolic succession which protected the faith and inter-communion of the original Church through the first three centuries of persecution and cross-cultural, translinguistic evangelism has been lost in these new movements. died 99), also known as Saint Clement of Rome, is listed by Irenaeus and Tertullian as Bishop of Rome, holding office from 88 to his death in 99. He is considered to be the first Apostolic Father of the Church. Few details are known about Clement’s life. Clement was said to have been consecrated by Saint Peter, and he is known to have been a leading member of the church in Rome in the late 1st century. Early church lists place him as the second or third bishop of Rome after Saint Peter. The Liber Pontificalis presents a list that makes Pope Linus the second in the line of bishops of Rome, with Peter as first; but at the same time it states that Peter ordained two bishops, Linus and Pope Cletus, for the priestly service of the community, devoting himself instead to prayer and preaching, and that it was to Clement that he entrusted the Church as a whole, appointing him as his successor. Tertullian considered Clement to be the immediate successor of Peter. In one of his works, Jerome listed Clement as “the fourth bishop of Rome after Peter”, and added that “most of the Latins think that Clement was second after the apostle”. Clement is put after Linus and Cletus/Anacletus in the earliest (c. 180) account, that of Irenaeus, who is followed by Eusebius of Caesarea. Clement’s only genuine extant writing is his letter to the church at Corinth (1 Clement) in response to a dispute in which certain presbyters of the Corinthian church had been deposed. He asserted the authority of the presbyters as rulers of the church on the ground that the Apostles had appointed such. His letter, which is one of the oldest extant Christian documents outside of the New Testament, was read in church, along with other epistles, some of which later became part of the Christian canon. These works were the first to affirm the apostolic succession and authority of the clergy. A second epistle, 2 Clement, was attributed to Clement, although recent scholarship suggests it to be a homily by another author. In the legendary Clementine Literature, Clement is the intermediary through whom the apostles teach the church. Clement is recognized as a saint in many Christian churches and is considered a patron saint of mariners. He is commemorated on 23 November in the Roman Catholic Church, the Anglican Communion, and the Lutheran Church. In Eastern Orthodox Christianity his feast is kept on 24 or 25 November.